Our first full day in Florida was so much fun. First, we woke up around 630 to watch the sun rise. It was beautiful. 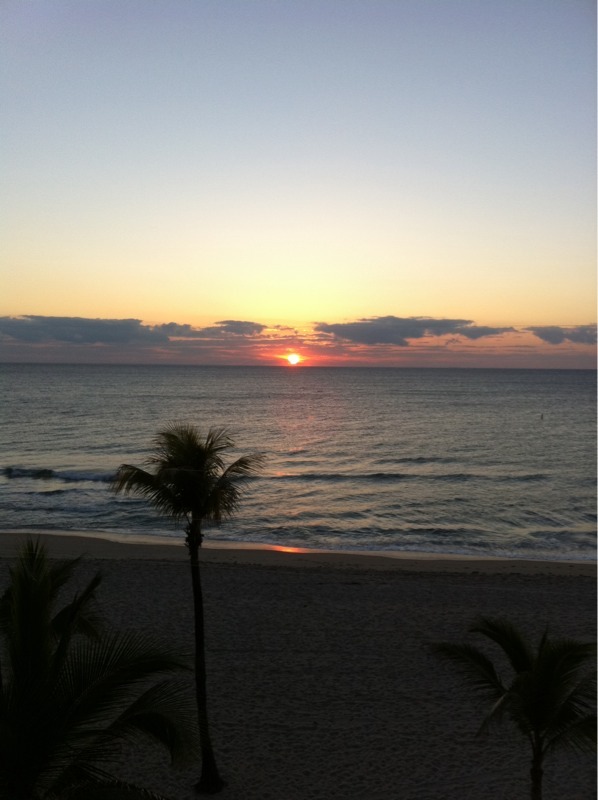 I've never watched the sun rise over the ocean before. I definitely want to do it again before this trip is over. After going back to bed, waking up, getting ready, and having breakfast, we went to the Lauderdale by the Sea Craft Show, and walked around to the different booths. 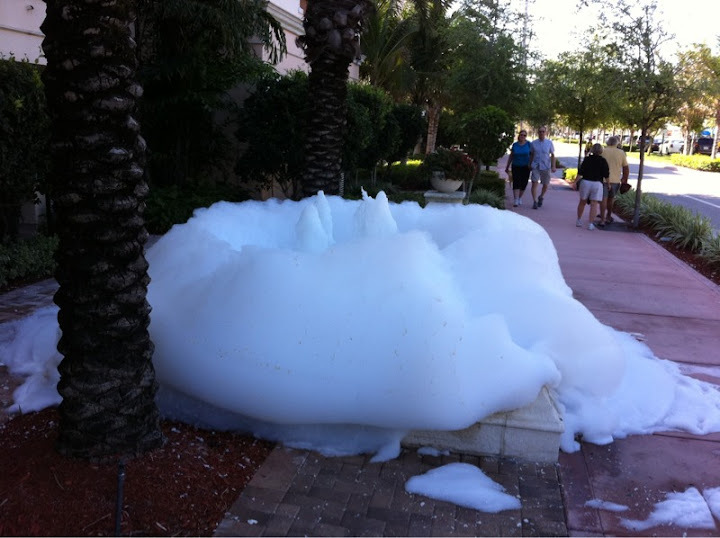 On our way to the craft show, we saw that someone pulled a little prank by putting soap in one of the fountains. I thought it was hilarious, so I took a picture. Ha ha. Anyways, at the craft show there were a lot of different types of artwork and jewelry. My sister bought four pairs of earrings, and my parents bought a really cool piece of artwork to put in our living room. I didn't see anything I wanted bad enough to spend my money on, but it was neat to see everyone's artwork. Not wanting to worsen our burns, we decided to stay inside until dinner time. I took a little nap while everyone else got ready to go out. We walked down to the pier and ate at the Beach Cafe. It was delicious. We had to make another trip to Publix to pick up a couple groceries that we forgot yesterday, then we came back to the hotel to relax. Amy and I took some fun pictures out on the beach while Mom and Dad enjoyed the view from the balcony.